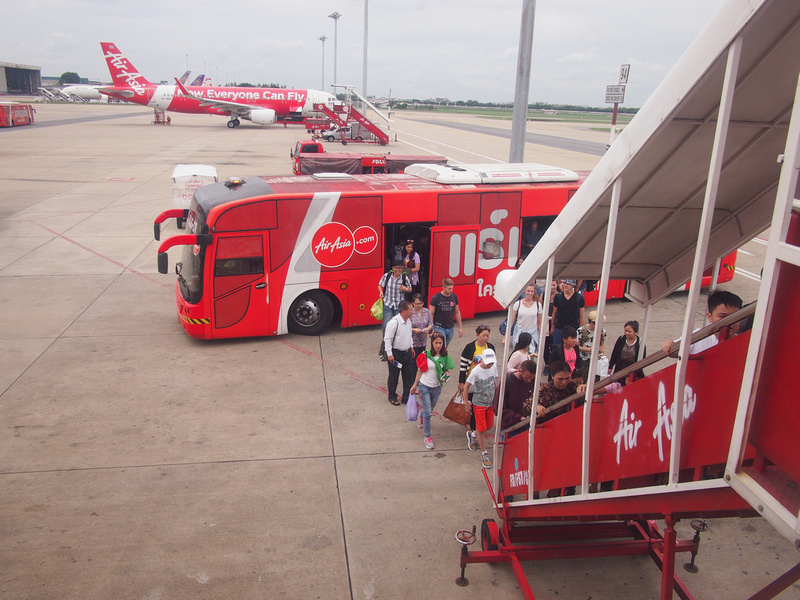 I flew with AirAsia from Bangkok to Ho Chi Minh City. I booked it after comparing flights with Skyscanner. 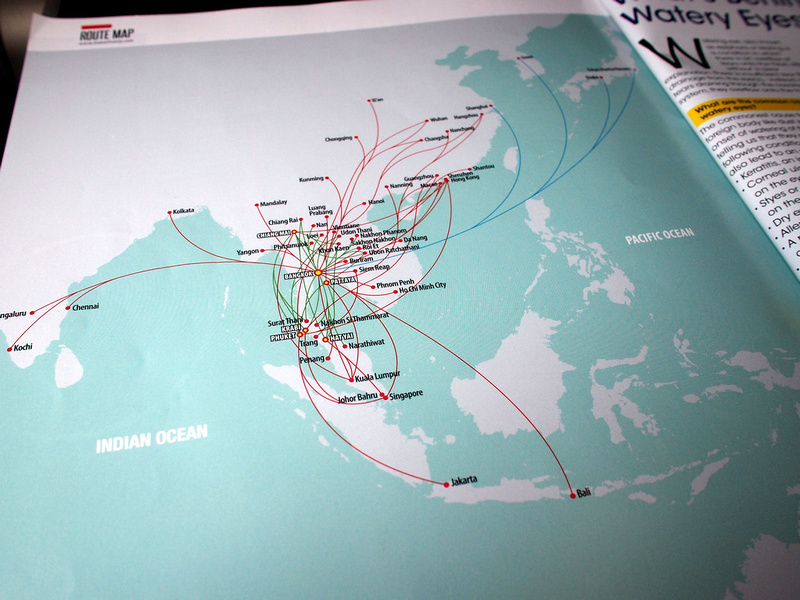 There are several airlines flying this route so prices are competitive. In the end I just picked a flight that was in the early afternoon. The last time I flew out of Don Muang (DMK) was an early morning flight to Hong Kong. It was so crowded and busy in the morning that I barely made my flight. With that in mind I avoid early morning flights from DMK. 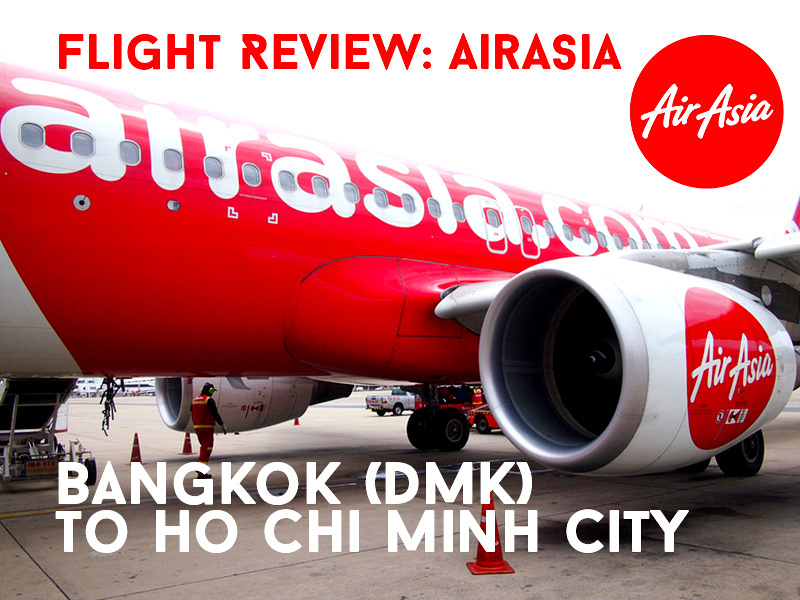 I have flown Jetstar Pacific and Vietjet from BKK to Saigon and I prefer to fly from there, but the AirAsia flight was a good enough deal to entice me to DMK. I checked in online and was randomly assigned seat 3A, so that was a good start to the trip. That is usually a “hot seat” which costs extra. I guess they didn’t sell enough of them. 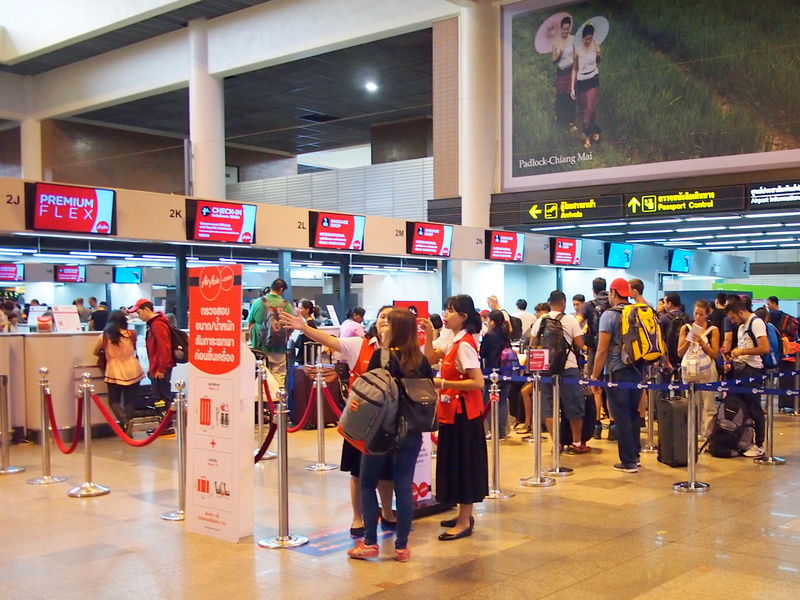 If you check in online the bag drop queue is usually shorter than the regular check-in line. It took about 10 minutes to drop my bag. 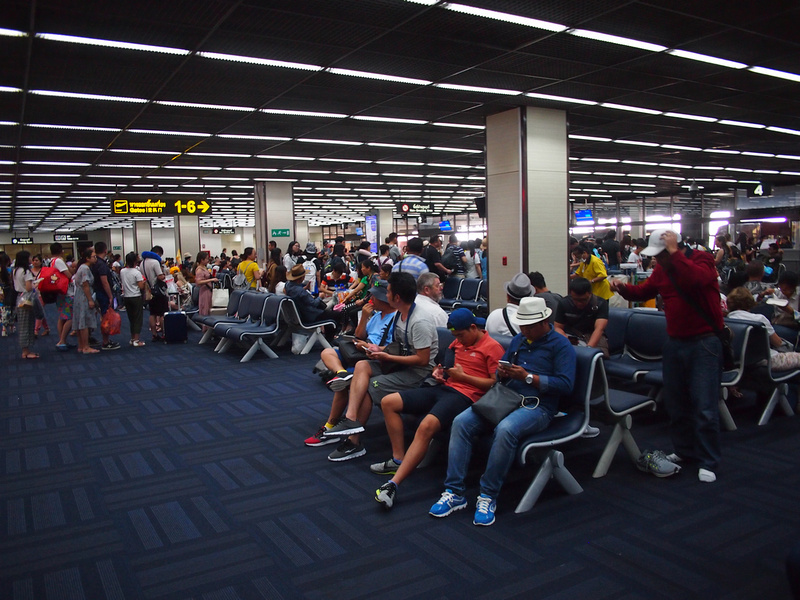 There aren’t many food options in the international departures of Don Muang Airport, some come prepared or resign yourself to the limited and overpriced options. The flight departed from sections gate 5; a low number I figured would have its own airbridge. It turns out gates 1-6 are downstairs where you get a bus to the plane. Good thing it wasn’t raining, which it had been earlier. 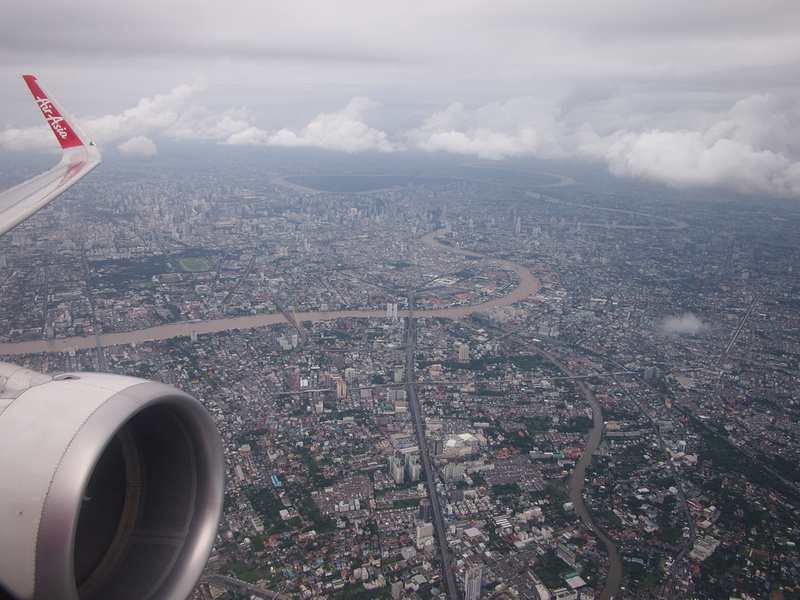 One of the redeeming features of flying out of Don Muang is that you fly over the city of Bangkok if the flights are taking off to the south. I got an amazing view of the city before being obscured by clouds. 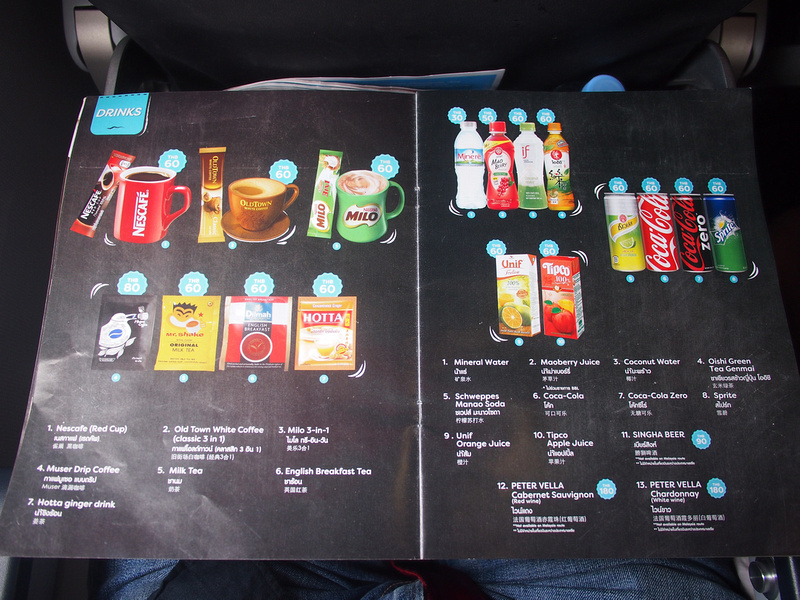 Travel3Sixty is the inflight magazine of AirAsia, they have an English and Thai version on Thai AirAsia. 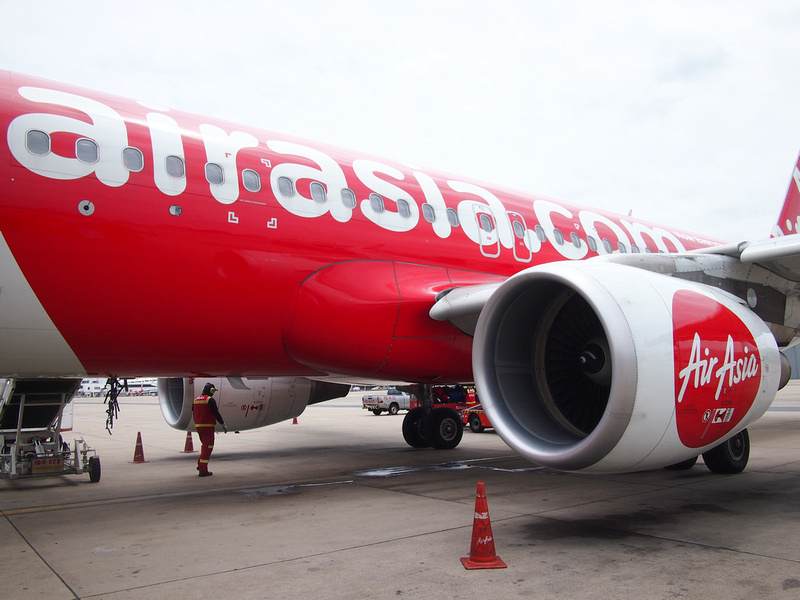 There is an extensive range of flights from Bangkok with AirAsia. There is no free meal service but a menu of meals and snacks is available. 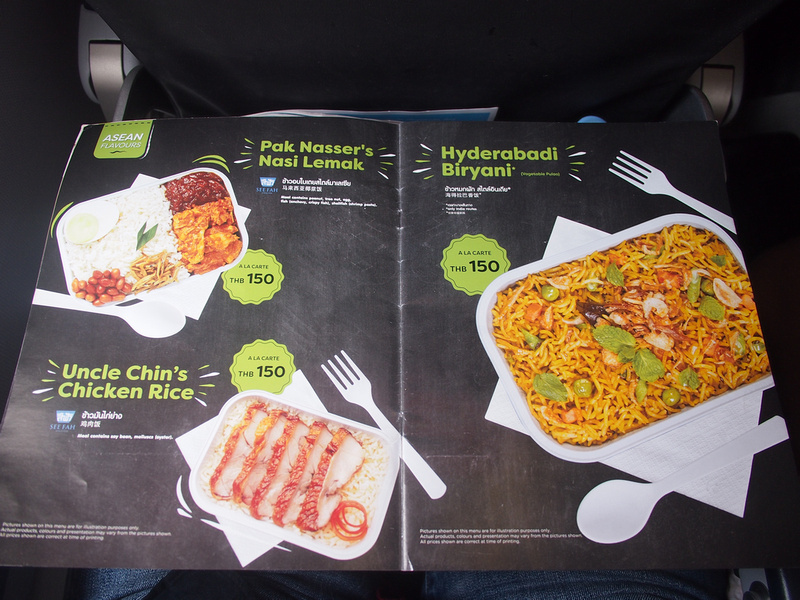 The average hot meal is 150 THB ($4.50) and is cheaper if you book in advance. A coffee is 60 THB ($1.80). The flight time between Bangkok and Ho Chi Minh City is 90 minutes. 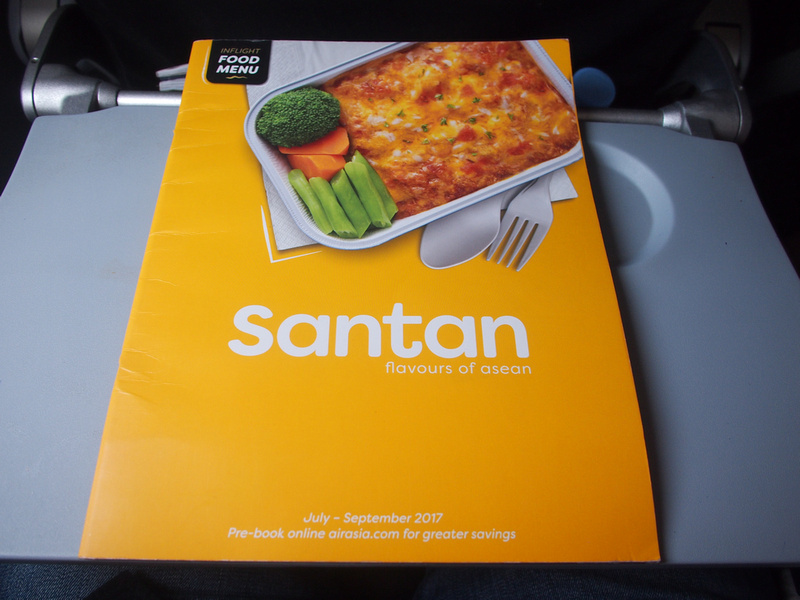 Tan Son Nhat International Airport (SGN) is in the urban area of the city, so it is a great when you are flying in over the city.